George Hobbins. Photo: John Aron. Skegness Town’s chances of retaining their Balcan Lighting Supplies Lincolnshire League title were given a massive boost on Saturday - without them kicking a ball. While the Lilywhites’ fixture at Grimsby Borough Academy was postponed due to a waterlogged pitch, league leaders Ruston Sports were held to a draw at local rivals Nettleham, which leaves the destiny of the championship trophy back in the seasiders’ hands. It’s still a big ask for the current champions, requiring them to win their last six games, but the opportunity is there. Two of those games are against the impressive Grimsby Borough Academy, one against third placed Nettleham, and there’s the small matter of next Wednesday’s East Lindsey derby against Horncastle Town to factor in. The first chance to test their credentials for the battle ahead is at Mulsanne Park on Saturday, where Nettleham stand in the way of three points. Manager Nick Chapman will be without skipper Courtney Warren and Jamie Coulson, who are unavailable. George Hobbins is also likely to be sidelined by a hamstring injury. Chapman is however hopeful that Arron Scutt will have recovered from his knee injury and Jordan Turner should be back to full fitness. 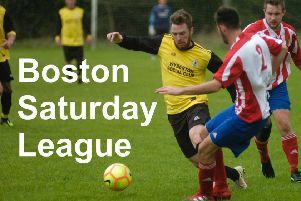 Following Saturday’s trip to Nettleham the seasiders’ busy schedule continues when they entertain. Horncastle Town at the Vertigo Stadium on Wednesday evening (KO 7.45pm).